LIMITED EDITION Charity TEE. For every shirt sold, $5 will go to the NEVADA MILITARY SUPPORT ALLIANCE. Men and women alike love this high quality tee. Rethink’s signature v-neck tee is made from 100% recycled polyester this best-selling t-shirt can’t help but make the eco-friendly side of you rejoice. Men and women alike love this high quality tee. 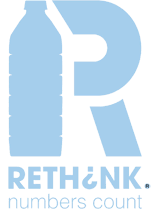 Rethink’s signature tee is made from 100% recycled polyester this best-selling t-shirt can’t help but make the eco-friendly side of you rejoice.